Alexis Sanchez was left out of the Arsenal squad for Saturday’s match against Crystal Palace as the Chile forward inches closer to joining Manchester United. Sanchez is set to move to United in a blockbuster deal that will reportedly make him the Premier League’s highest paid player. 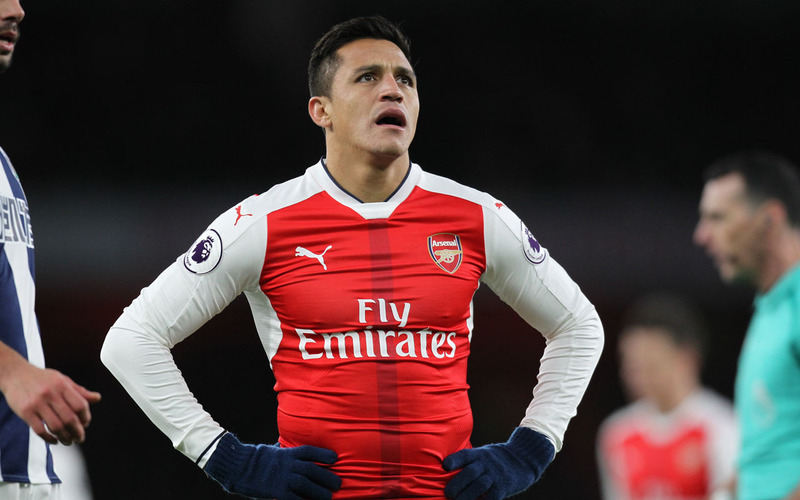 On Friday, it was reported Arsenal manager Arsene Wenger was giving serious consideration to including Sanchez in his squad to face Palace and might have named his player among the substitutes. But Wenger, who axed Sanchez from the squad for last weekend’s loss at Bournemouth because of his pending move, has opted to again leave out the former Barcelona star for Palace’s visit to the Emirates Stadium. Sanchez had been working with Arsenal’s development squad this week, but returned to senior training on Friday. United will reportedly pay £35 million (39.6 million euros, $48.5 million) for Sanchez, a £20 million transfer fee to Arsenal and £15 million to the player’s agent Fernando Felicevich. United midfielder Henrikh Mkhitaryan is said to have agreed to join Arsenal as part of the deal. Sanchez will earn £350,000 a week plus an extra £100,000 a week for image rights over the course of a four-and-a-half-year contract. He will also receive £7.5 million a year for four years as a signing-on fee. Meanwhile, Arsenal were reported on Saturday to have made a £44.1 million offer for Borussia Dortmund striker Pierre-Emerick Aubameyang. The 28-year-old was left out of the squad that drew against Hertha Berlin on Friday, which has stoked transfer speculation. The German club said to be unwilling to let the Gabon international go for anything less than £53 million.